Judy Garland happily signing her autograph on a football. You may notice that she used her left hand, Judy Garland was a natural left-hander when writing but she also had the ability to use her right hand for some activities, these people are called "ambidextrous". Judy Garland was a multi-talented performer and she can also multi-task with her hands, a very talented woman indeed. Love the fountain ink pen that was used in the olden days. 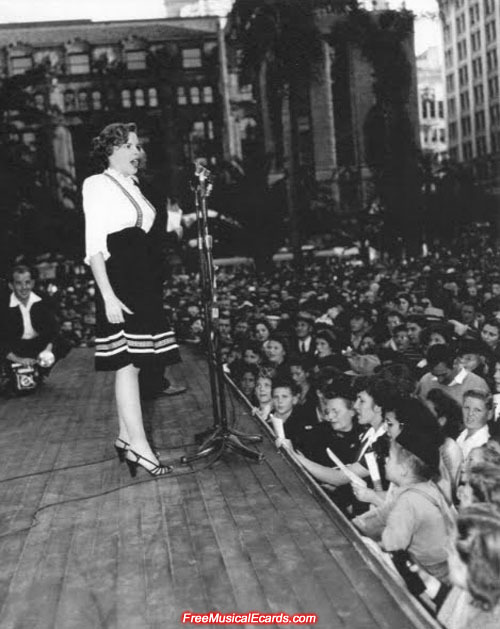 Crowds turned out in their thousands to see a 20-year-old Judy Garland performing in Pershing Square in downtown Los Angeles on November 21, 1942. 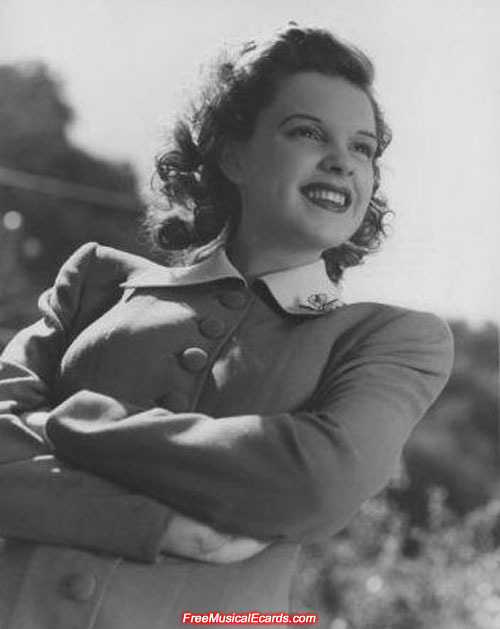 Judy Garland was the teen stunner who played Dorothy in The Wizard of Oz, and she went on to become the shining star during the golden age of MGM. I am a lefty as well . Now I am wondering... who is the owner of this football ? There's a myth going around that lefties die younger. I'm a right-hander so I'm a bit relieved. I have no idea who owns the football. This is Lao myth? I maybe the only member who is a lefty. In sports, lefties have an advantage over righties. It's a myth worldwide. There's also research into it and confirms that left-handers tend to die younger than right-handers. I do agree that lefties have the advantage in some sports, I enjoy watching Rafael Nadal with his powerful left hand in tennis. Judy Garland played tennis and table tennis with her right hand, and she used her left hand for writing. The Nadal thing is popular in Vientiene? Not really, maybe for the minority who enjoy watching tennis. Michael Chang was a lefty? I don't know and I don't really care about him. This is a section about Judy Garland. Hey now..those words are too rough . I was wondering if other members know if Michael Chang was a lefty. It would be nice if other members can comment on the 'Judy Garland' section as well. I am just dam tired of commenting here . 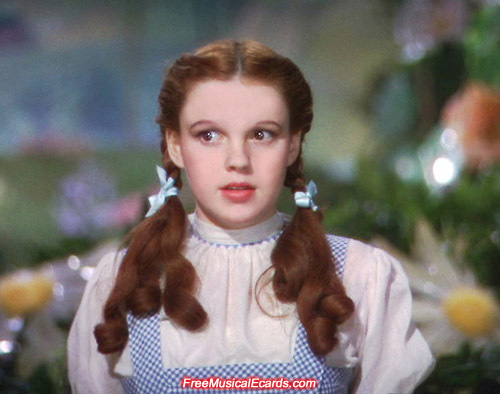 Judy Garland fever reached sky-high all across the United States even before the release of The Wizard of Oz. 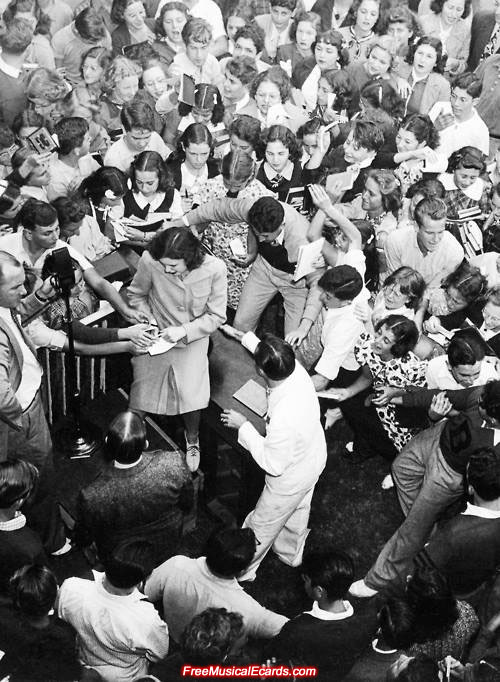 Here she is, as a sixteen-year-old, signing autographs for a large crowd of students at Miami Beach, Florida, way back on the 27th January 1938. Is it true that her checkered dress is blue and pink instead of white? Yes, MGM had to play around with the colors on the costumes in order to get the desired color effect. Judy Garland also wore a black and sepia checkered gingham dress in the Kansas farm scenes. Like the ruby slippers, the measurements on the dresses are also different. They had several variations in all the screen used dresses.